What Should Your Annual Budget Look Like? An annual budget is vital for any restaurant. It provides you with the ability to keep up with your profits and losses; plan for the future; and help anticipate operating expenses. Because of its importance in your business, you should know what having an annual budget entails and how it will help your business. To this end you will be better able to reach your goals without overstepping your limits. Most restaurants divide their annual budget into months.. By creating a monthly budget, you will be able to see where your money is going out and coming in on a monthly basis so you can make any changes that are needed on a timely basis. For example, by doing a monthly budget you can make allowances for special times of the year, such as holidays when you might need more inventory (money going out) but you will also make more profit (money coming in). Planning for each month accordingly can give you a more realistic picture of the whole year. When you create your annual budget you will need to estimate the things that are unknown and make projections about the things that are known. Since you cannot know how much sales you will have, you will have to make an educated estimate as to the amount of traffic you can expect in the coming months. Since you know you will need supplies, labor and inventory to keep your restaurant afloat, you will need to project how much of those things you will be need, and their costs. This will give you an idea of how your business will do over the coming year. The longer you have been in business, the easier this projection will be. You will also have to understand what your break even point is in order to make informed decisions concerning your restaurant.The break even point is the amount of sales you need to bring in to cover your expenses, before any profit is made.You should figure out what your projected break even point is because until then you will be operating at a loss. Once you reach the break even point, every penny you make will be profit and that is very important information to have. 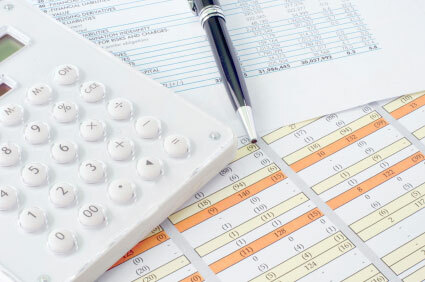 Once you have created a budget, you will need to review it weekly and monthly to ascertain that you are going the right direction.Examining your budget regularly keeps you up to date on profits, losses and other financial aspects of running your business It will let you know how close your estimations were. For example, are you finding that you are spending far more than predicted? You might need to alter your budget to come up with a new break even point. This steps are crucial to creating a thriving, profitable business.